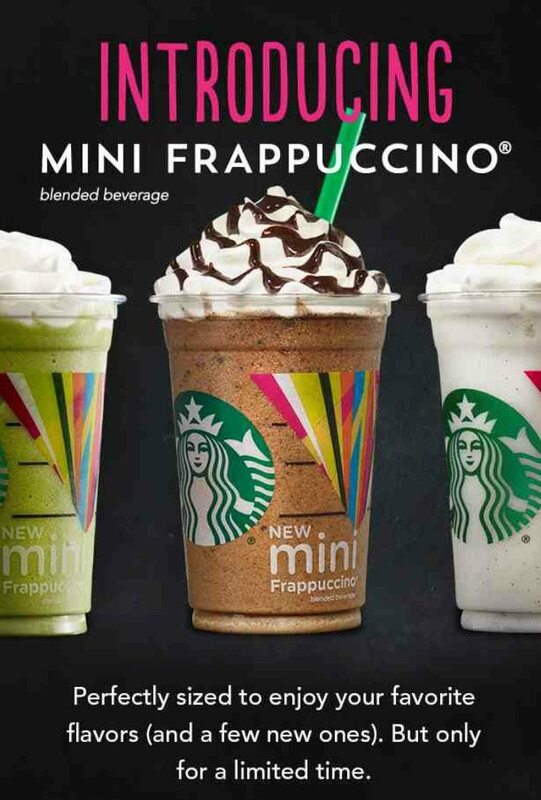 The Mini Starbucks Frappuccino is Here. (Hopes to grow up to be as tall as his big brother, Venti). 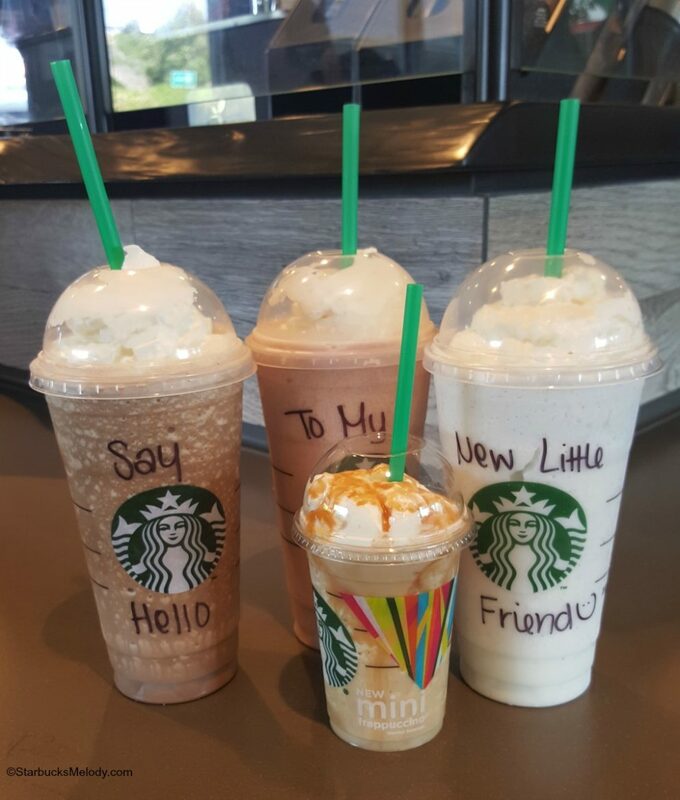 Today marks the introduction of a new, super cute, “mini” size Frappuccino in all U.S. and Canada stores. It’s 10 ounces and prefers not to be called ‘short’. It still hoping to grow as tall as its big brother, the Venti Frappuccino. 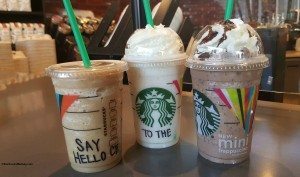 The new Mini Frappuccino is perfect when a tall is just a bit too much. I know for sure, I’ll be ordering the mini. I often don’t want the little bit extra that is in a tall. This is perfect for parents who want a small treat for kids, anyone with a small appetite, and great for those watching calories. You might recall that last September, Starbucks tested the Mini Frappuccino in two regions (Denver and Houston). Don’t forget that you can still get a cookie straw for 95 cents too. A fun little add on for your Mini Frappuccino. I can tell you’re on vacation, this post is so breezy and funny! 🙂 love our new little mini friend! hah that photo is so cute! The promo email I got said they are “limited”. Do you know how long they will go on for? Soooo cute! I like they have a tiny one and hope it managed to stick around, sometimes the larger ones are too much. So perfect! Great for kids and for big people that just want a little something. Funny post! And that size is just right for me. Sorry guys for me the Mini is not enough bang for the buck and I do love my Starbucks. i wanted to try the mini…until i saw its just as expensive as the larger drinks. WTH?! RIDIC. Love the size, but the price is outrageous. It’s only .30 more for the Tall. A barista tried to convince me not to get the mini yesterday. What many of you folks do not realize is that the cost of what goes into a beverage is small compared to the fixed costs of labor and rent associated with the beverage. Decreasing the size from 12 ounces to 10 ounces has practically no effect on the costs to the store. 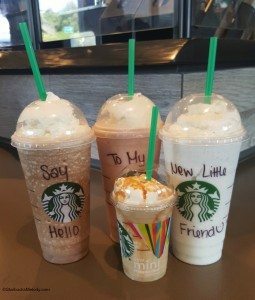 I would be careful about swooning too much over the Mini-Frappuccino as Starbucks may make the “Mini” the new “Tall” because while a few cents means nothing to you when you consider how many Frappuccinos Starbucks makes in a day you have some real money and product “saved” for Starbucks.